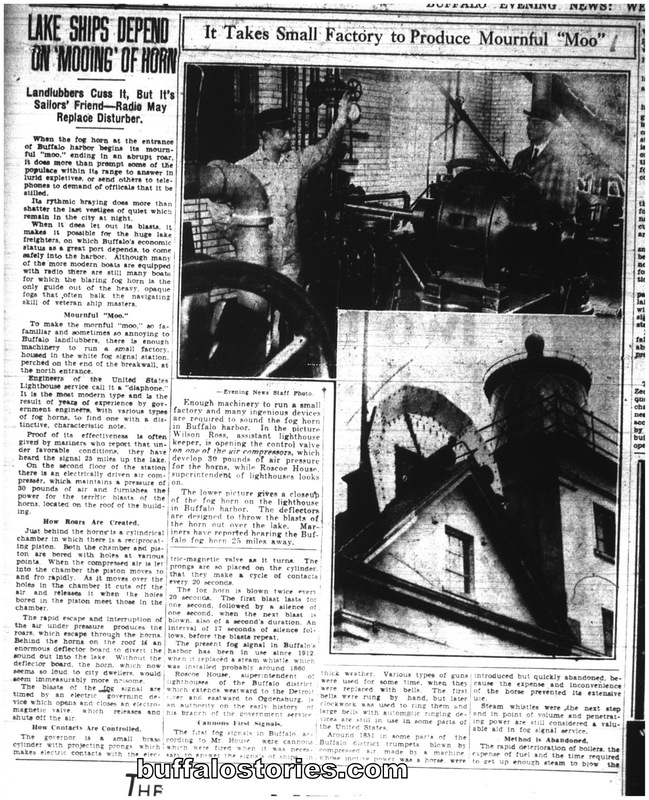 Buffalo’s main lighthouse — and attached diaphone foghorn — was known as “The Breakwater Light” at the time of this 1930 photo. 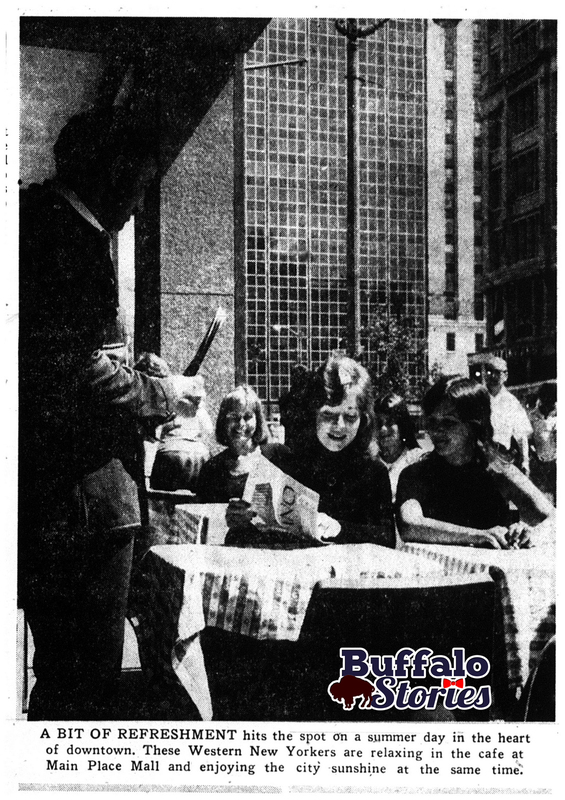 Eighty-five years ago, Buffalo was still a great port city. 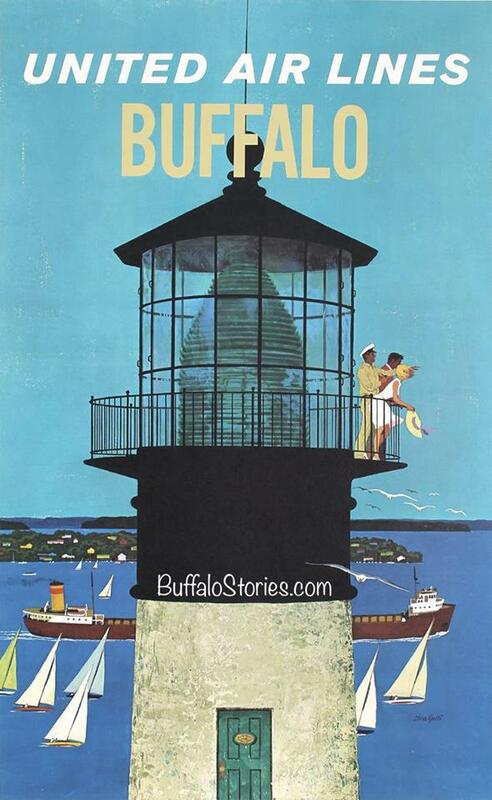 And as a great port city, harbormasters had to guide ships into Buffalo under all conditions. To beat the frequent Lake Erie fog, the lighthouse’s great fog horn — which could be heard from 25 miles away — was sounded to bring those lake freighters in safely. 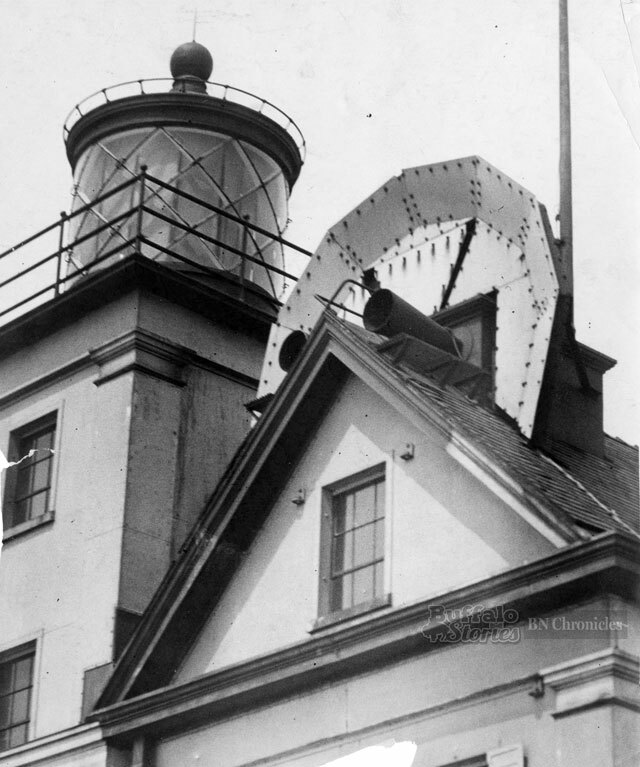 This horn is similar to the one that graced Buffalo Harbor in the 1930s. While the blaring horn helped ships’ captains pilot their craft, “the mournful moo” was not, as you might imagine, conducive to sleeping in the vicinity of the harbor. It’s not clear whether the photo was printed incorrectly in the paper or on the photo print that was found in The News’ archives. 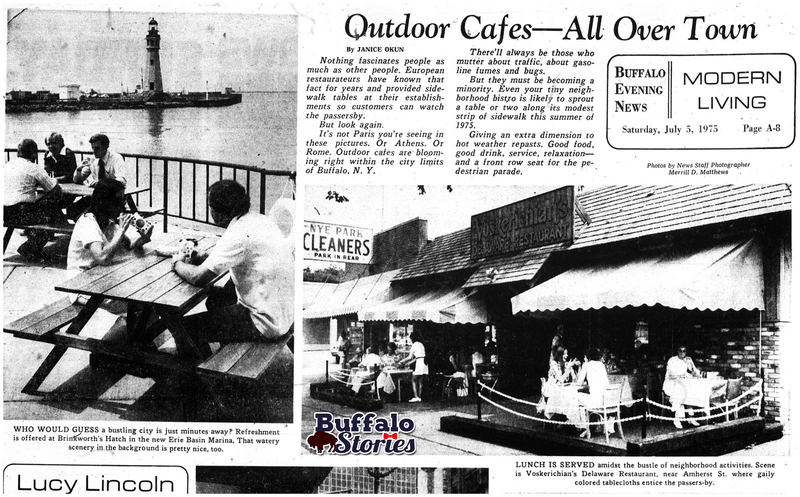 News Food Critic Janice Okun and photographer Merrill Matthews take readers on a tour of Buffalo’s outdoor dining spots of 40 years ago. Brinkworth’s Hatch remains, although as just the Hatch. The Main Place Mall Café is but a memory, and Voskerichian’s is now a vet’s office on Delaware Avenue near Amherst.